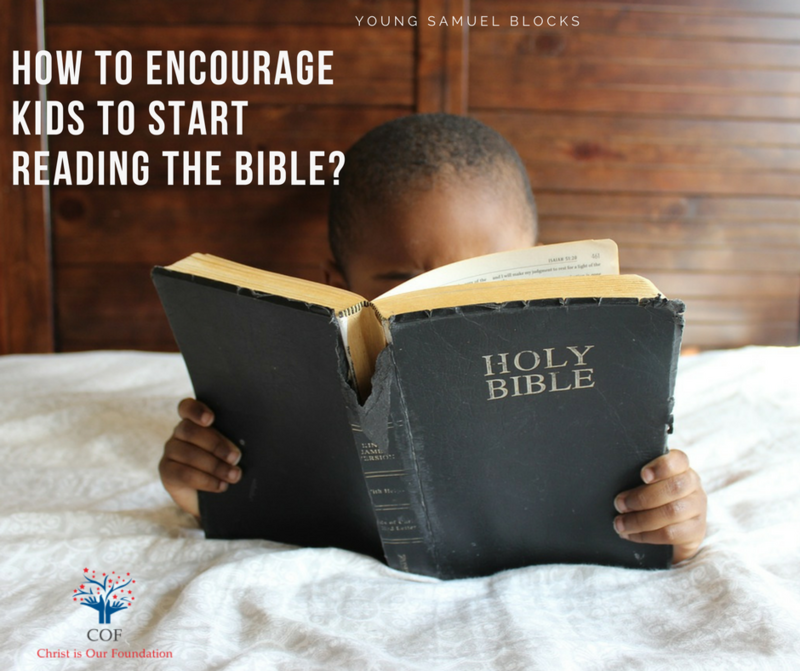 How to encourage kids to start reading The Bible? In this competitive world, parents always tend to give the best to their children. Sometimes they even go overboard to get things for them. But as you become busy to give your child a better, safe and secure future, how much are you investing in your child’s eternal life? The Bible verse sown into the hearts of kids at a very tender age will remain with them even when they turn old. Every word in The Bible is life breathed and has the power to change lives. So, how to inculcate the habit of reading Bibles into the lives of your child. Before you start with your child, you need to first have the habit of reading Bible because the child sees you first and tries to imbibe that in their life. Speak stories of Faith from the Bible: Even before your child starts understanding, narrate short stories from the Bible to them. They have a great memory and they will remember every bit of them. Repeat the stories to them every now and then and ask them to narrate it back to you. You can start off with stories like Adam and Eve, Noah’s Ark, Jonah etc. Get them short Bible Story Book: You can get them coloring books or story books. Stories with images will stay in mind for long and when you narrate the story to them they will be able to imagine the characters in their mind. Be prepared to answer the innocent questions that they might ask you. Read the Bible along with them: Sit with them and read the passage with them, this will encourage them and lift their confidence. Don’t do it as part of ritual rather enjoy every second spent in reading the Bible. Allow them to have their own Bible. When I was in 1st Std, I was gifted a Picture Bible by my friend on my birthday which had Old Testament and The New Testament. I was so fond of reading it that even after finishing it, I would start reading it right from the beginning all over again. Today, whenever I read a passage from the Bible, I have images in my mind because of which the stories are so crisp and clear in my mind. Once you encourage your kids to read Bible, they would love reading it over and over again.Do let us know if you have followed any method which helped your child to inculcate the habit of reading the Bible.